Welcome the Summer Season with this Antique White Berry Wreath!! 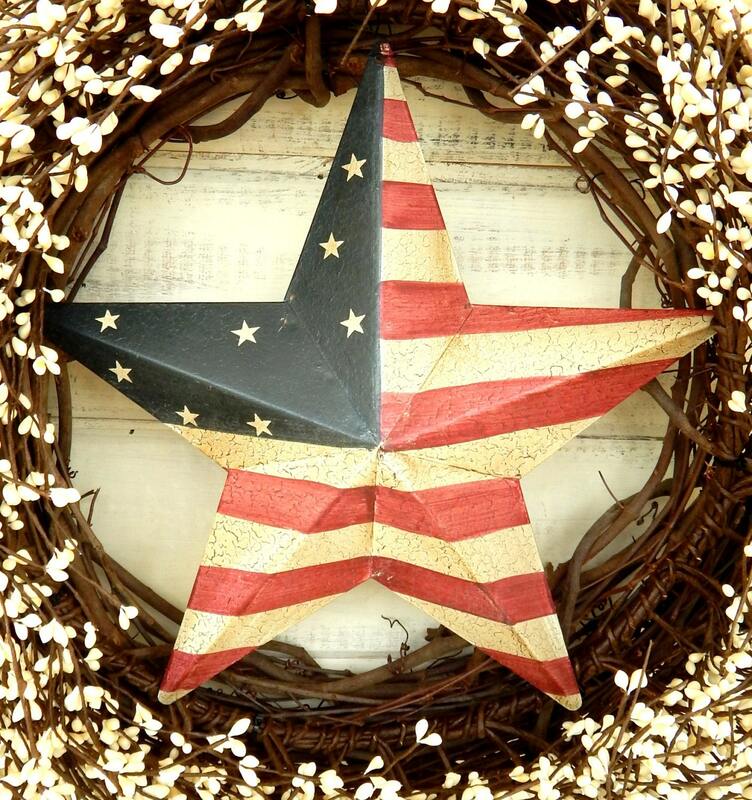 A LARGE Patriotic Wreath with a detachable BARN STAR. This wreath will catch everyone's eye!! I have been waiting to write this review. I LOVE, LOVE, LOVE this wreath. I could hardly wait to get it out of the box and hang it on our front door. We are extremely patriotic as my father, and husband both served in the Navy. And our oldest son is now a Navy pilot. 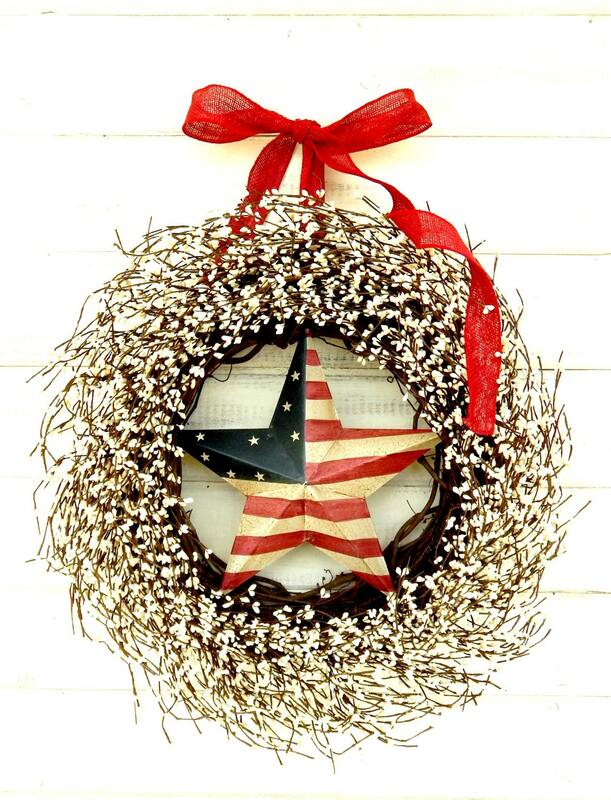 Wreath is so colorful and the red burlap ribbon picks up the red in the American flag. Love how it all goes so well together. Have received many compliments. Shipping was quick and dealing with Wild Ridge Designs has been wonderful. (They even gave us a military discount.) Christi is a lovely person. I could not be any happier with this wreath, Thank you. 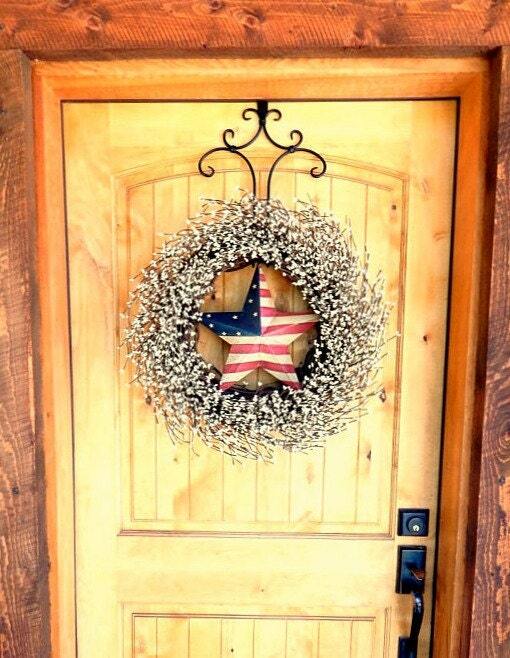 Beautiful wreath, looks great on my front door! 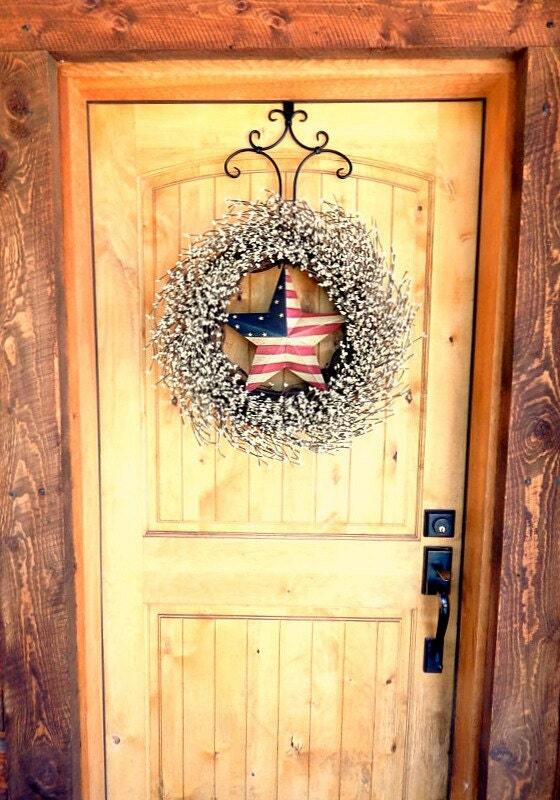 Just love this Patriotic Flag Door Wreath! 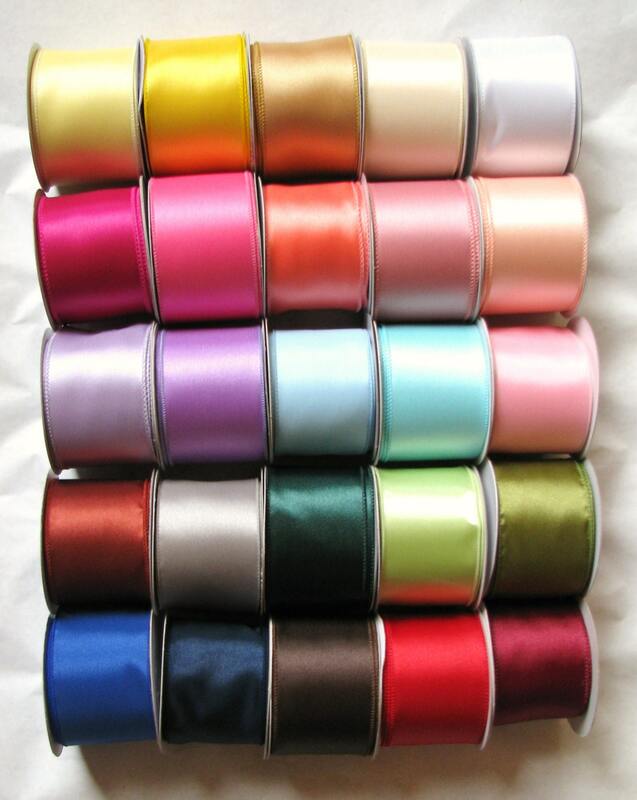 Great quality and detail and received quickly! Looks wonderful on our front door! Beautiful! Love it! Thank you so much!